Iced dog cookies for Spring! Made in the U.S. 20 cookies/cs. Available until June or as supplies last. Sweet potato dog cookies with yogurt icing. Happy Teeth has natural minerals to help grow strong teeth, enzymes to keep teeth clean and fresh and a spongy texture to clean between teeth. Small is 2 small pieces/bag. Large is 2 large pieces/bag. Coco Rings have all the nutritional benefits of fresh coconut and no sugar, salt additives or preservatives. 3.5 oz. bag. Made using traditional methods with yak and/or cow milk and all natural products with no preservatives or binding agents. They’re also gluten-free! 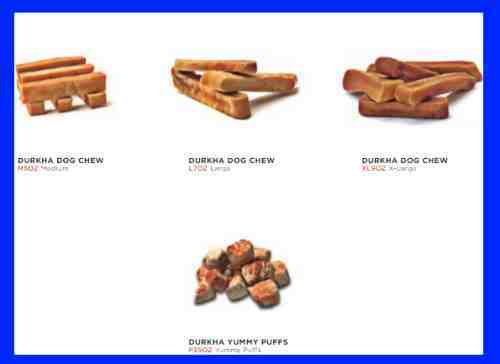 These can be a very long-lasting dog chew. Microwave the Yaky Puffs for another crunchy taste of Himalayan Dog Chews. 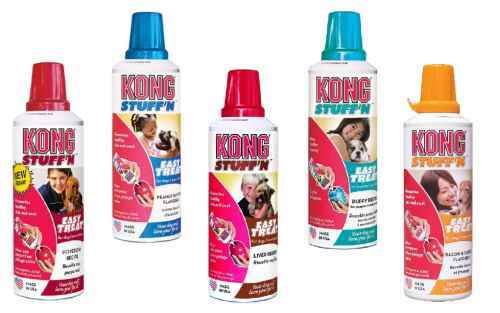 A couple of squirts of Kong Easy Treat is the perfect filler for a KONG toy. Bursting with vanilla and mint flavors, the Everlasting Treats are long lasting dental chews that are hard like a bone to help keep your dog's teeth clean. Pair them with the Starmark toys for challenging chewing fun. 2 treats/pak. 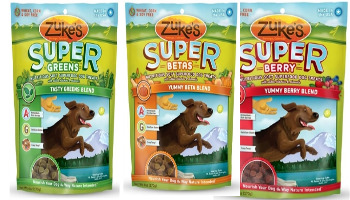 Super nutritious and super delicious,our Supers help your dog's energy soar every day. Dogs need superfoods to keep them going. 6 oz. These dog treats are decorated to look like assorted colorful sail boats. This product was made from our Hand Decorated Molasses recipe. 12 treats per case. Each cookie is baked and hand-decorated with care in Englewood, Colorado. Our ingredients are grown and manufactured in the USA! Boxed and ready for retail. 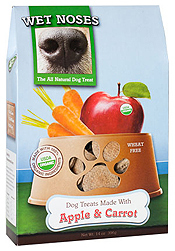 Sojos Dog Treats have been repackaged and reformulated! 10 oz boxes. These fantastic crunchy snacks are now wheat & corn free and bone-shaped. And check out our all new flavors!